Note: This guide only applies for the Linksys 1200AC, 1900AC(S), and 3200ACM models. 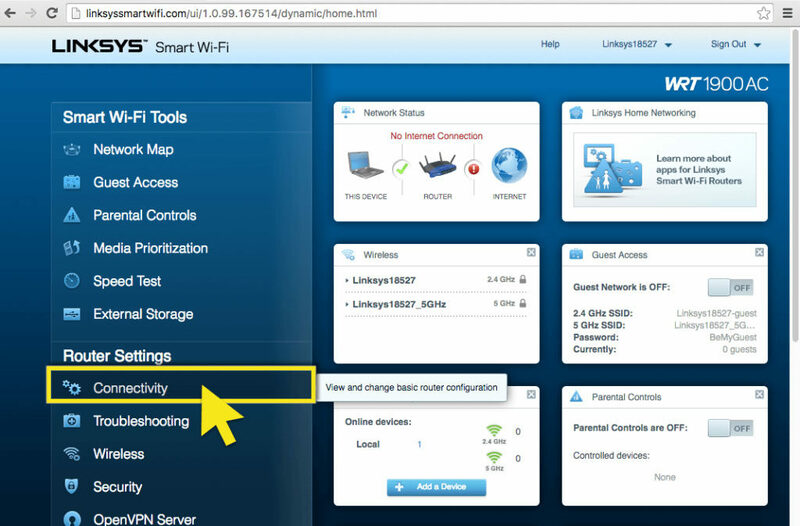 If you are using the Linksys EA6200, see the guide for resetting your Linksys EA6200 to the original firmware. If you are unsure about the model number of your router, see the guide on identifying which Linksys router model you have. Step 1: Go to www.expressvpnrouter.com using the router’s Wi-Fi connection. On the page, select System and then Backup / Flash Firmware. 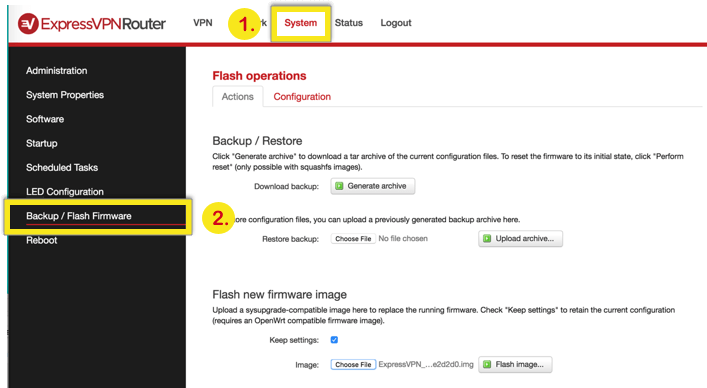 Step 2: Scroll Down to Flash new firmware image and uncheck the box next to Keep settings. 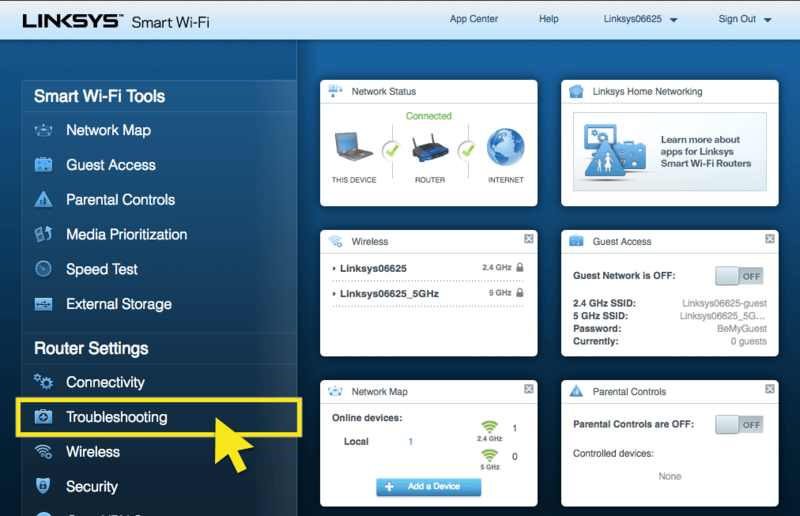 Step 3: Click Choose File and upload the original Linksys firmware. 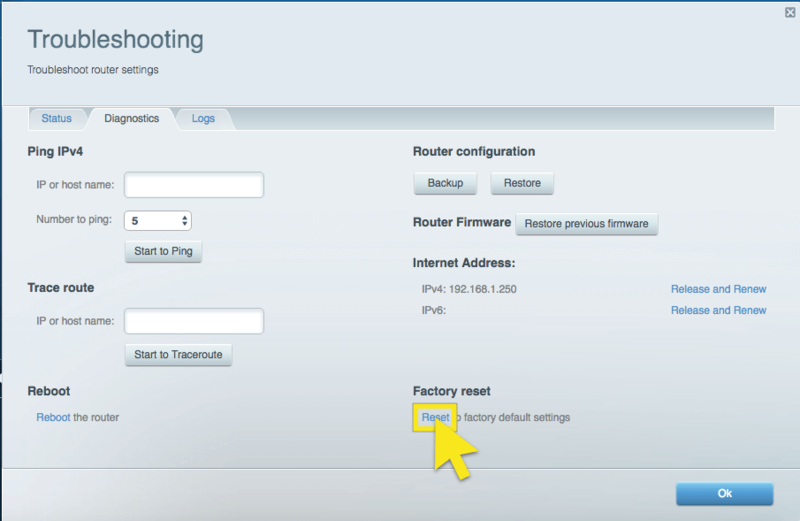 You can find the original firmware file by visiting linksys.com and searching for your model name. Step 4: Click Flash image… and then Proceed. Note: If you are about to sell or give the router away, you are recommended to first flash the router a second time using the Linksys UI and then reset the router to factory defaults to wipe out any custom settings. Instructions for these steps are listed below. Note: The following steps are not necessary unless you plan to give away or sell your router. 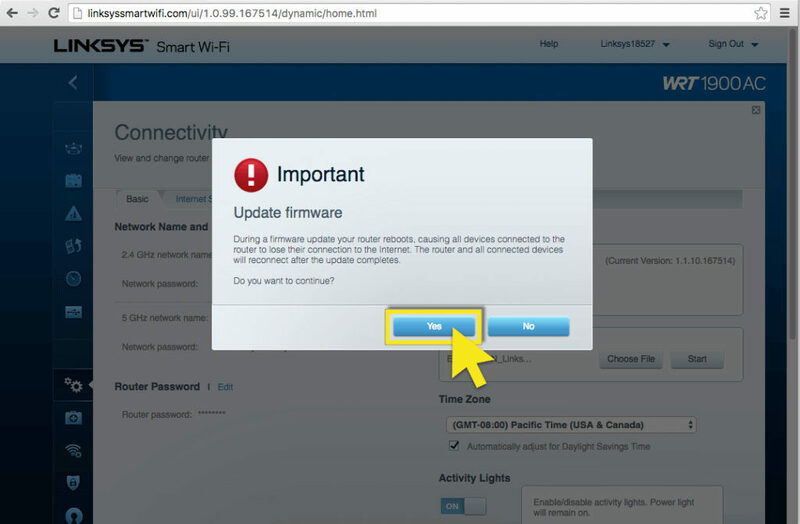 If you intend to continue using your Linksys router with the original firmware, the steps above are sufficient. 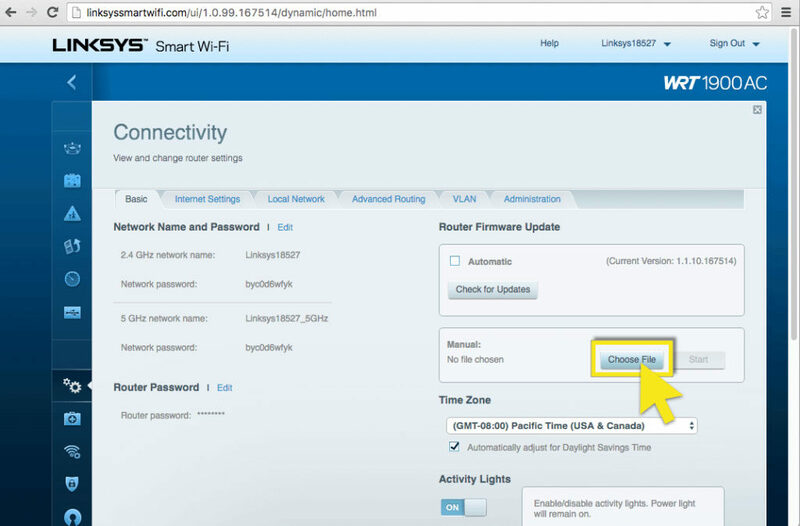 Step 1: While your router is NOT connected to the Internet, go to linksyssmartwifi.com. Check the boxes for “I have read…” and “I want to skip…”, then click Next. You will not see this screen if you have configured your router before. Step 2: In the “Sign In” screen, enter “admin” then click Sign In. Step 3: In the main “Smart Wi-Fi” screen, click Connectivity. Step 4: Click Choose File, select the original Linksys Firmware, and click Start. 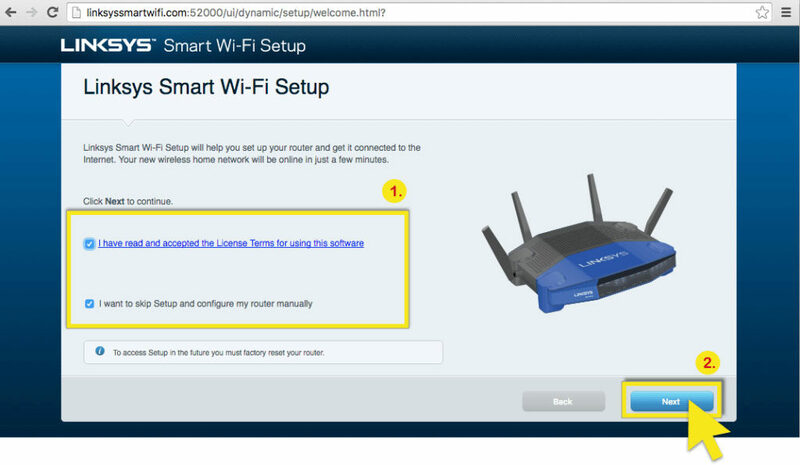 Step 5: You will see a notification informing you that the firmware update will require a reboot of your router. Click Yes to continue. 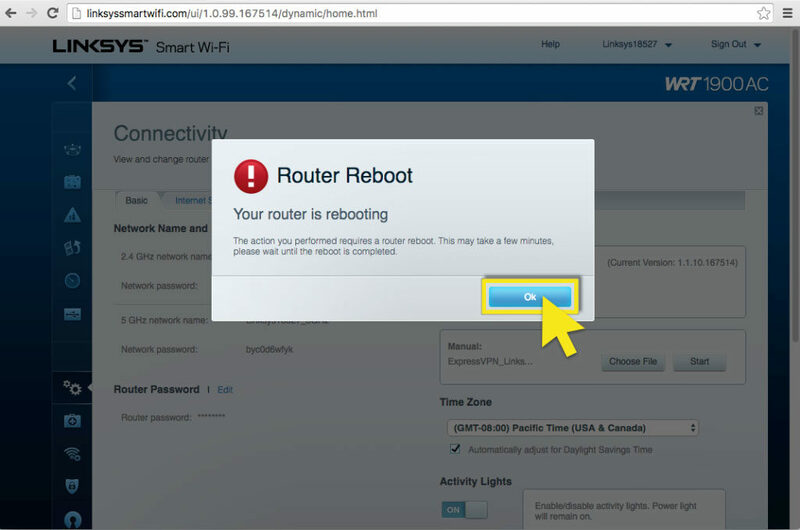 Step 6: Once the firmware was been successfully installed, click Ok to initiate the router rebooting. Step 2: Type the password “admin” to log in. Step 3: Select the Troubleshooting link on the left side. Step 4: Select the Diagnostics tab. Step 5: Select the Reset link. When you see the warning dialog box, select Yes to proceed. Step 6: Wait about 5 minutes for the router to restart.